Human orders – scientific, artistic, social, economic, and political – are fictions. They are untrue, not because they necessarily are false, but because they necessarily are incomplete. All of our human orders, however inclusive we may try to make them, turn out to be some degree exclusive. And so we are always being surprised by something we find, too late, that we have excluded. Think of almost any political revolution or freedom movement or the ozone hole or mad cow disease or the events of September 11, 2001. The present order, thus surprised, is then required to accommodate new knowledge and thus to be reordered. Thomas Kuhn described the process in The Structure of Scientific Revolutions. But these surprises and changes obviously have their effect also on individual lives and on whole cultures. All of our fictions labor under an ever-failing need to be true. And this means that they labor under an obligation to be continuously revised. Or, to put it another way, we humans necessarily make pictures in our minds of our places and our world. But we can do this only by selection, putting some things into the picture and leaving the rest out. And so we live in two landscapes, one superimposed upon the other. First there is the cultural landscape made up of our own knowledge of where we are, of landscapes and memories, of patterns of use and travel, of remindings and meanings. The cultural landscape, among other things, is a pattern of exchanges of work, goods, and comforts among neighbors. It is the country we have in mind. And then there is the actual landscape, which we can never fully know, which is always going to be to some degree a mystery, from time to time surprising us. These two landscapes are necessarily and irremediably different from each other. But there is danger in their difference; they can become too different. If the cultural landscape becomes too different from the actual landscape, then we will make practical errors that will be destructive of the actual landscape or of ourselves or of both. You can learn this from the study of any landscape that is inhabited by humans, or from teachers such as Barry Lopez and Gary Nabhan, who have written on the traditional economies of the Arctic and the American Southwest. It is easier to understand, perhaps, when thinking about extreme landscapes: If the cultural landscapes come to be too much at odds with the actual landscapes of the Arctic or the desert, the penalties are apt to be swift and lethal. In more forgiving landscapes they will (perhaps) be slower, but finally just as dangerous. In some temperate and well-watered areas, we humans have applied the most extreme industrial methods of landscape destruction. By disregarding the cultural landscape, and all values and protections that accrue therefrom to the actual landscape, the strip miners entirely destroy the actual landscape. Cropland erosion, caused by a serious incongruity between the cultural and actual landscapes, is a slower form of destruction than strip mining, but given enough time it too can be entirely destructive. At present, in the United States and in much of the rest of the world, most of the cultural landscapes that still exist are hodgepodges of failing local memories, money-making schemes, ignorant plans, bucolic fantasies, misinformation, and the random facts that we now call “information.” This is compounded by the outright destruction of innumerable burial sites and other sacred places, of natural and historical landmarks, and of entire actual landscapes. Moreover, we have enormous and increasing numbers of people who have no home landscape, though in every one of their economic acts they are affecting the actual landscapes of the world, mostly for the worse. This is a situation unprecedentedly disorderly and dangerous. 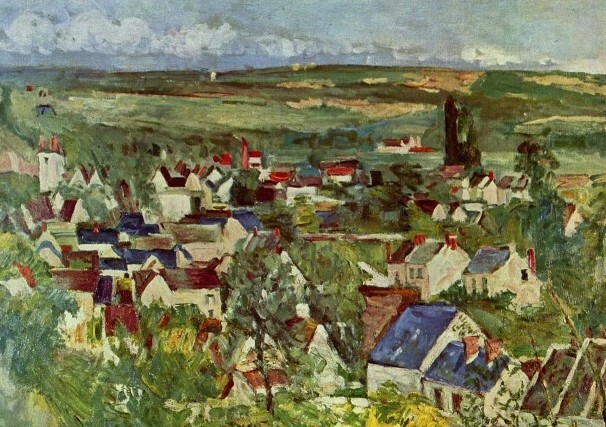 To be disconnected from any actual landscape is to be, in the practical or economic sense, without a home. To have no country carefully and practically in mind is to be without a culture. In such a situation, culture becomes purposeless and arbitrary, dividing into “popular culture,” determined by commerce, advertising, and fashion, and “high culture,” which is either social affectation, displaced cultural memory, or the merely aesthetic pursuits of artists and art lovers. We are thus involved in a kind of lostness in which most people are participating more or less unconsciously in the destruction of the natural world, which is to say, the sources of their own lives. They are doing this unconsciously because they see or do very little of the actual destruction themselves, and they don’t know, because they have no way to learn, how they are involved. At the same time, many of the same people fear and mourn the destruction, which they can’t stop because they have no practical understanding of its causes. Conservationists, scientists, philosophers, and others are telling us daily and hourly that our species is now behaving with colossal irrationality and that we had better become more rational. I agree as to the dimensions and danger of our irrationality. As to the possibility of curing it by rationality, or at least by the rationality of the rationalists, I have some doubts. The trouble is not just in the way we are thinking; it is also in the way we, or anyhow we in the affluent parts of the world, are living. And it is going to be hard to define anybody’s living as a series of simple choices between irrationality and rationality. Moreover, this is supposedly an age of reason: We are encouraged to believe that the governments and corporations of the affluent parts of the world are run by rational people using rational processes to make rational decisions. The dominant faith of the world in our time is in rationality. That in an age of reason, the human race, or the most wealthy and powerful parts of it, should be behaving with colossal irrationality ought to make us wonder if reason alone can lead us to do what is right. It is often proposed, nowadays, that if we would only get rid of religion and other leftovers from our primitive past and become enlightened by scientific rationalism, we could invent the new values and ethics that are needed to preserve the natural world. This proposal is perfectly reasonable, and perfectly doubtful. It supposes that we can empirically know and rationally understand everything involved, which is exactly the supposition that has underwritten our transgressions against the natural world in the first place. Obviously we need to use our intelligence. But how much intelligence have we got? And what sort of intelligence is it that we have? And how, at its best, does human intelligence work? In order to try to answer these questions I am going to suppose for a while that there are two different kinds of human mind: the Rational Mind and another which, for want of a better term, I will call the Sympathetic Mind. I will say now, and try to keep myself reminded, that these terms are going to appear to be allegorical, too neat and too separate – though I need to say also that their separation was not invented by me. The Rational Mind, without being anywhere perfectly embodied, is the mind we all are supposed to be trying to have. It is the mind that the most powerful and influential people think they have. Our schools exist mainly to educate and propagate and authorize the Rational Mind. The Rational Mind is objective, analytical, and empirical; it makes itself up only by considering facts; it pursues truth by experimentation; it is uncorrupted by preconception, received authority, religious belief, or feeling. Its ideal products are the proven fact, the accurate prediction, and the “informed decision.” It is, you might say, the official mind of science, industry, and government. The Sympathetic Mind differs from the Rational Mind, not by being unreasonable, but by refusing to limit knowledge or reality to the scope of reason or factuality or experimentation, and by making reason the servant of things it considers precedent and higher. The Sympathetic Mind is motivated by fear of error of a very different kind: the error of carelessness, of being unloving. Its purpose is to be considerate of whatever is present, to leave nothing out. These two types certainly don’t exhaust the taxonomy of minds. They are merely the two that the intellectual fashions of our age have most deliberately separated and thrown into opposition. My purpose here is to argue in defense of the Sympathetic Mind. But my objection is not to the use of reason or to reasonability. I am objecting to the exclusiveness of the Rational Mind, which has limited itself to a selection of mental functions such as the empirical methodologies of analysis and experimentation and the attitudes of objectivity and realism. In order to go into business on its own, it has in effect withdrawn from all of human life that involves feeling, affection, familiarity, reverence, faith, and loyalty. The separability of the Rational Mind is not only the dominant fiction but also the master superstition of the modern age. The Sympathetic Mind is under the influence of certain inborn or at least fundamental likes and dislikes. Its impulse is toward wholeness. It is moved by affection for its home place, the local topography, the local memories, and the local creatures. It hates estrangement, dismemberment, and disfigurement. The Rational Mind tolerates all these things “in pursuit of truth” or in pursuit of money – which, in modern practice, have become nearly the same pursuit. I am objecting to the failure of the rationalist enterprise of “objective science” or “pure science” or “the disinterested pursuit of truth” to prevent massive damage both to nature and to human economy. The Rational Mind does not confess its complicity in the equation: knowledge = power = money = damage. Even so, the alliance of academic science, government, and the corporate economy – and their unifying pattern of sanctions and rewards – is obvious enough. We have resisted, so far, a state religion, but we are dangerously close to having both a corporate state and a state science, which some people, in both the sciences and the arts, would like to establish as a state religion. The Rational Mind is the lowest common denominator of the government-corporation-university axis. It is the fiction that makes high intellectual ability the unquestioning servant of bad work and bad law. Under the reign of the Rational Mind, there is no firewall between contemporary science and contemporary industry or economic development. It is entirely imaginable, for instance, that a young person might go into biology because of love for plants and animals. But such a young person had better be careful, for there is nothing to prevent knowledge gained for love of creatures from being used to destroy them for love of money. Now some biologists, who have striven all their lives to embody perfectly the Rational Mind, have become concerned, even passionately concerned, about the loss of “biological diversity”, and they are determined to do something about it. This is usually presented as a merely logical development from ignorance to realization to action. But so far it is only comedy. The Rational Mind, which has been destroying biological diversity by “figuring out” some things, now proposes to save what is left of biological diversity by “figuring out” some more things. It does what it has always done before: It defines the problem as a big problem calling for a big solution; it calls in the world-class experts; it invokes science, technology, and large grants of money; it propagandizes and organizes and “gears up for a major effect.” The comedy here is in the failure of these rationalists to see that as soon as they have become passionately concerned they have stepped outside the dry, objective, geometrical territory claimed by the Rational Mind, and have entered the still mysterious homeland of the Sympathetic Mind, watered by unpredictable rains and by real sweat and real tears. The Sympathetic Mind understands the vital importance of the cultural landscape. The Rational Mind, by contrast, honors no cultural landscape, and therefore has no protective loyalty or affection for any actual landscape. The definitive practical aim of the Sympathetic Mind is to adapt local economies to local landscapes. This is necessarily the work of local cultures. It cannot be done as a world-scale feat of science, industry, and government. This will seem a bitter bite to the optimist of scientific rationalism, which is scornful of limits and proud of its usurpations. But the science of the Sympathetic Mind is occupied precisely with the study of limits, both natural and human. The Rational Mind does not work from any sense of geographic whereabouts or social connection or from any basis in cultural tradition of principle or character. It does not see itself as existing or working within a context. The Rational Mind doesn’t think there is a context until it gets there. Its principle is to be “objective” – which is to say, unremembering and disloyal. It works within narrow mental boundaries that it draws for itself, as directed by the requirements of its profession or academic specialty or its ambition or its desire for power or profit, thus allowing for the “trade-off” and the “externalization” of cost and effects. Even when working outdoors, it is an indoor mind. The Sympathetic Mind, even when working indoors, is an outdoor mind. It lives within an abounding and unbounded reality, always partly mysterious, in which everything matters, in which we humans are therefore returned to our ancient need for thanksgiving, prayer, and propitiation, in which we meet again and again the ancient question: How does one become worthy to use what must be used? Whereas the Rational Mind is the mind of analysis, explanation, and manipulation, the Sympathetic Mind is the mind of our creatureliness. The Sympathetic Mind leaves the world whole, or it attempts always to do so. It looks upon people and other creatures as whole beings. It does not parcel them out into functions and uses. The Rational Mind, by contrast, has rested its work for a long time on the proposition that all creatures are machines. This works as a sort of strainer to eliminate impurities such as affection, familiarity, and loyalty from the pursuit of knowledge, power, and profit. This machine-system assures the objectivity of the Rational Mind, which is itself understood as a machine, but it fails to account for a number of things, including the Rational Mind’s own worries and enthusiasms. Why should a machine be bothered by the extinction of other machines? Would even an “intelligent” computer grieve over the disappearance of the Carolina parakeet? The Rational Mind is preoccupied with the search for a sure way to avoid risk, loss, and suffering. For the Rational Mind, experience is likely to consist of a sequence of bad surprises and therefore must be booked as a “loss.” That is why, to rationalists, the past and the present are so readily expandable or destructive in favor of the future, the era of no loss. But the Sympathetic Minds accepts loss and suffering as the price, willingly paid, of its sympathy and affections – its wholeness. The Rational Mind attempts endlessly to inform itself against its ruin by facts, experiments, projections, scouting of “alternatives,” hedgings against the unknown. The Sympathetic Mind is informed by experience, by tradition-borne stories of the experiences of others, by familiarity, by compassion, by commitment, by faith. The Sympathetic Mind is preeminently a faithful mind, taking knowingly and willingly the risks required by faith. The Rational Mind, ever in need of certainty, is always in doubt, always looking for a better way, asking, testing, disbelieving in everything but its own sufficiency to its own needs, which its experience and its own methods continually disprove. It is a skeptical, fearful, suspicious mind, and always a disappointed one, awaiting the supreme truth or discovery it expects of itself, which of itself it cannot provide. This parable is the product of an eminently sympathetic mind, but for the moment that need not distract us. The dilemma is practical enough, and we can see readily how the two kinds of mind would deal with it. The rationalist, we may be sure, has a hundred sheep because he has a plan for that many. The one who has gone astray has escaped not only from the flock but also from the plan. That this particular sheep should stray off in this particular place at this particular time, though it is perfectly keeping with the nature of sheep and the nature of the world, is not at all in keeping with a rational plan. What is to be done? Well, it certainly would not be rational to leave the ninety and nine, exposed as they would then be to further whims of nature, in order to search for the one. Wouldn’t it be best to consider the lost sheep a “trade-off” for the safety of the ninety-nine? Having thus agreed to his loss, the doctrinaire rationalist would then work his way through a series of reasonable questions. What would be an “acceptable risk”? What would be an “acceptable loss”? Would it not be good to do some experiments to determine how often sheep may be expected to get lost? If one sheep is likely to get lost every so often, then would it not be better to have perhaps 110 sheep? Or should one insure the flock against such expectable losses? The annual insurance premium would equal the market value of how many sheep? What is likely to be the cost of the labor of looking for one lost sheep after quitting time? How much time spent looking would equal the market value of the lost sheep? Should not one think of splicing a few firefly genes into one’s sheep so that strayed sheep would glow in the dark? And so on. But (leaving aside the theological importance of the parable) the shepherd is a shepherd because he embodies the Sympathetic Mind. Because he is a man of sympathy, a man devoted to the care of sheep, a man who knows the nature of sheep and of the world, the shepherd of the parable is not surprised or baffled by his problem. He does not hang back to argue over risks, trade-offs, actuarial data, or market values. He does not quibble over fractions. He goes without hesitating to hunt for lost sheep because he has committed himself to the care of the whole hundred, because he understands his work as the fulfilment of his whole trust, because he loves the sheep, and because he knows or imagines what it is to be lost. He does what he does on behalf of the whole flock because he wants to preserve himself as a whole shepherd. He also does what he does because he has a particular affection for that particular sheep. To the Rational Mind, all sheep are the same; any one is the same as any other. They are interchangeable, like coins or clones or machine parts or members of “the work force.” To the Sympathetic Mind, each one is different from every other. Each one is an individual whose value is never entirely reducible to market value. The Rational Mind can and will rationalize any trade-off. The Sympathetic Mind can rationalize none. Thus we have not only the parable of the ninety and nine, but also the Buddhist vow to save all sentient beings. The parable and the vow are utterly alien to the rationalism of modern science, politics, and industry. To the Rational Mind, they “don’t make sense” because they deal with hardship and risk merely by acknowledgment and acceptance. Their very point is to require a human being’s suffering to involve itself in the suffering of other creatures, including that of other human beings. The Rational Mind conceives of itself as eminently practical, and is given to boasting about its competence in dealing with “reality.” But if you want to hire somebody to take care of your hundred sheep, I think you had better look past the “animal scientist” and hire the shepherd of the parable, if you can still find him anywhere. For it will continue to be more reasonable, from the point of view of the Rational Mind, to trade off the lost sheep for the sake of the sheep you have left – until only one is left. A young man was working for a company that operated a large total-confinement swine farm. One day he detected symptoms of a disease among some of the feeder pigs. As a teen, he had raised pigs himself…so he knew how to treat the animals. But the company’s policy was to kill any diseased animal with a blow to the head – the profit margin was considered too low to allow for treatment of individual animals. So the employee decided to come in on his own time, with his own medicine, and he cured the animals. The management’s response was to fire him on the spot for violating company policy. But what of the compassionate young man? The next sentence of Mr. Rollin’s account says: “Soon the young man left agriculture for good…” We need to pause here to try to understand the significance of his departure. Like a strip mine, a hog factory exists in utter indifference to the landscape. Its purpose, as an animal factory, is to exclude from consideration both the nature of the place where it is and the nature of hogs. That it is a factory means that it could be in any place, and that the hog is a “unit of production.” But the young man evidently was farm-raised. He evidently had in his mind at least the memory of an actual place and at least the remnants of its cultural landscape. In that landscape, things were respected according to their nature, which made compassion possible when their nature was violated. That this young man was fired from his job for showing compassion is strictly logical, for the explicit purpose of the hog factory is to violate nature. And then, logically enough, the young man “left agriculture for good.” But when you exclude compassion from agriculture, what have you done? Have you not removed something ultimately of the greatest practical worth? I believe so. But this is one of the Rational Mind’s world-scale experiments that has not yet been completed. The Sympathetic Mind is a freedom-loving mind because it knows, given the inevitable discrepancies between the cultural and the actual landscapes, that everybody involved must be free to change. The idea that science and industry and government can discover for the rest of us the ultimate truths of nature and human nature, which then can be infallibly used to regulate our life, is wrong. The true work of the sciences and the arts is to keep all of us moving, in our own lives in our own places, between the cultural and the actual landscapes, making the always necessary and the forever unfinished corrections. When the Rational Mind establishes a “farm,” the result is bad farming. There is a remarkable difference between a hog factory, which exists only for the sake of its economic product, and a good farm, which exists for many reasons, including the pleasure of the farm family, their affection for their home, their satisfaction in their good work – in short, their patriotism. Such a farm yields its economic product as a sort of side effect of the health of a flourishing place in which things live according to their nature. The hog factory attempts to be a totally rational, which is to say a totally economic, enterprise. It strips away from animal life and human work every purpose, every benefit too, that is not economic. It comes about as the result of a long effort on the part of “scientific agriculture” to remove the Sympathetic Mind from all agricultural landscapes and replace it with the Rational Mind. And so good-bye to the shepherd of the parable, and to compassionate young men who leave agriculture for good. Good-bye to the cultural landscape. Good-bye to the actual landscape. These have all been dispensed with by the Rational Mind, to be replaced by a totalitarian economy with its neat, logical concepts of world-as-factory and life-as-commodity. This is an economy excluding all decisions but “informed decisions,” purporting to reduce the possibility of loss. Nothing so entices and burdens the Rational Mind as its need, and its self-imposed responsibility, to make “informed decisions.” It is certainly possible for a mind to be informed – in several ways, too. And it is certainly possible for an informed mind to make decisions on the basis of all that has informed it. But that such decisions are “informed decisions” – in the sense that “informed decisions” are predictably right, or even that they are reliably better than uninformed decisions – is open to doubt. The ideal of the “informed decision” forces “decision makers” into a thicket of facts, figures, studies, test, and “projections.” It requires long and uneasy pondering of “cost-benefit ratios” – the costs and benefits, often, of abominations. The problem is that decisions all have to do with the future, and all the actual knowledge we have is of the past. It is impossible to make a decision, however well-informed it may be, that is assuredly right, because it is impossible to know what will happen. It is only possible to know or guess that some things may happen, and many things that have happened have not been foreseen. Moreover, having made an “informed decision,” even one that turns out well, there is no way absolutely to determine whether or not it was a better decision than another decision that one might have made instead. It is not possible to compare a decision that one made with a decision that one did not make. There are no “controls,” no “replication plots,” in experience. The Rational Mind is under relentless pressure to justify governmental and corporate acts on an ever-increasing scale of power, extent, and influence, Given that pressure, it may be not so very surprising that the Rational Mind should have a remarkable tendency toward superstition. Reaching their mental limits, which, as humans, they must do soon enough, the rationalists begin to base their thinking on principles that are sometimes astonishingly unsound: “Creatures are machines” or “Knowledge is good” or “Growth is good” or “Science will find the answer” or “A rising tide lifts all boats.” Or they approach the future with a stupefying array of computers, models, statistics, projections, calculations, cost-benefit analyses, experts, and even better computers – which of course cannot foretell the end of a horse race any better than Bertie Wooster. And so the great weakness of the Rational Mind, contrary to its protestations, is a sort of carelessness or abandonment that takes the form of high-stakes gambling – as when, with optimism and fanfare, without foreknowledge of self-doubt or caution, nuclear physicists or chemists or genetic engineers release their products into the whole world, making the whole world their laboratory. Or the great innovators and decision makers build huge airplanes whose loads of fuel make them, in effect, flying bombs. And they build the World Trade Center, forgetting apparently the B-25 bomber that crashed into the seventy-ninth floor of the Empire State building in 1945. And then on September 11, 2001, some enemies – of a kind we well knew we had and evidently had decided to ignore – captured two huge airplanes and flew them, as bombs, into the two towers of the World Trade Center. In retrospect, we may doubt that the expensive “intelligence” that is supposed to foresee and prevent such disasters is sufficiently intelligent. It is tempting now to call this poem “prophetic.” But it is only in the sense that it is insightful; it perceives the implicit contradiction between tall buildings and airplanes. This contradiction was readily apparent also to the terrorists of September 11, but evidently invisible within the midst of technological euphoria that had surrounded the great innovators and decision makers. In the several dimensions of its horror the destruction of the World Trade Center exceeds imagination, and that tells us something. But as a physical event it is as comprehensible as 1 + 1, and that tells us something else. Now that terrorism has established itself among us as an inescapable consideration, even the great decision makers are beginning to see that we are surrounded by the results of great decisions not adequately informed. We have built many nuclear power plants, each one a potential catastrophe, that will have to be protected, not only against their inherent liabilities and dangers, but against terrorist attack. And we have made, in effect, one thing of our food supply system, and that will have to be protected (if possible) from bioterrorism. These are by no means the only examples of the way we have exposed ourselves to catastrophic harm and great expense by our informed, rational acceptance of the normalcy of bigness and centralization. After September 11, it can no longer be believed that science, technology, and industry are only good or that they serve only one “side.” That never has been more than a progressivist and commercial superstition. Any power that belongs to one side belongs, for worse as well as better, to all sides, an indifferent as the sun that rises “on the evil and on the good.” Only in the narrowest view of history can the scientists who worked on the nuclear bomb be said to have worked for democracy and freedom. They worked inescapably also for the enemies of democracy and freedom. If terrorists get possession of a nuclear bomb and use it, then the scientists of the bomb will be seen to have worked also for terrorism. There is (so far as I can now see) nothing at all that the Rational Mind can do, after the fact, to make this truth less true or less frightening. This predicament cries out for a different kind of mind before and after the fact: a mind faithful and compassionate that will not rationalize about the “good use” of destructive power, but will repudiate any use of it. Freedom also is neutral, of course, and serves evil as well as good. But freedom rests on the power of good – by free speech, for instance – to correct evil. A great destructive power simply prevents this small decency of freedom. There is no way to correct a nuclear explosion. In the midst of the dangers of the Rational Mind’s achievement of bigness and centralization, the Sympathetic Mind is as hard-pressed as a pacifist in the midst of a war. There is no greater violence that ends violence, and no greater bigness with which to solve the problems of bigness. All that the Sympathetic Mind can do is maintain its difference, preserve its own integrity, and attempt to see the possibility of something better. The Sympathetic Mind, as the mind of our creatureliness, accepts life in this world for what it is: mortal, partial, fallible, complexly dependent, entailing many responsibilities toward ourselves, our places, and our fellow beings. Above all, it understands itself as limited. It knows without embarrassment its own irreducible ignorance, especially of the future. It deals with the issue of the future, not by knowing what is going to happen, but by knowing – within limits – what to expect, and what should be required, of itself, of its neighbors, and of its place. Its decisions are informed by its culture, its experience, its understanding of nature. Because it is aware of its limits and its ignorance, it is alert to issues of scale. The Sympathetic Mind knows from experience – not with the brain only, but with the body – that danger increases with height, temperature, speed, and power. It knows by common sense and instinct that the way to protect a building from being hit by an airplane is to make it shorter; that way to keep a nuclear power plant from becoming a weapon is not to build it; that the way to increase the security of a national food supply is to increase the agricultural self-sufficiency of states, regions, and local communities. Because it is the mind of our wholeness, our involvement with all things beyond ourselves, the Sympathetic Mind is alert as well to the issues or propriety, of the fittingness of our artifacts to their places and to our own circumstances, needs, and hopes. It is preoccupied, in other words, with the fidelity or the truthfulness of the cultural landscape to the actual landscape. Like all such gigantic buildings, from Babel onward, the World Trade Center was built without reference to its own landscape because world trade, as now practiced, has none. World trade now exists to exploit indifferently the landscapes of the world, and to gather the profits to centers whence they may be distributed to the world’s wealthiest people. World trade needs centers precisely to prevent the world’s wealth from being “scattered abroad upon the face of the whole earth.” Such centers, like the “global free market” and the “global village,” are utopias, “no-place.” They need to be no-places, because they respect no places and are loyal to no place. As for the problem of building on Manhattan Island, the Rational Mind has reduced that also to a simple economic principle: Land is expensive but air is cheap; therefore, build in the air. In the early 1960’s my family and I lived on the Lower West Side, not far uptown from what would become the site of the World Trade Center. The area was run down, already under the judgment of “development.” But once, obviously, it had been a coherent, thriving local neighborhood of residential apartments and flats, small shops and stores, where merchants and customers knew one another and neighbors were known to neighbors. Walking from our building to Battery was a pleasant thing to do because one had the sense of being in a real place that kept both the signs of its old human history and the memory of its geographical identity. The last time I went there, the place had been utterly dis-placed by the World Trade Center. Exactly the same feat of displacement is characteristic of the air transportation industry, which exists to free travel from all considerations of place. Air travel reduces place to space in order to traverse it in the shortest possible time. And like gigantic buildings, gigantic airports must destroy their places and become no-place in order to exist. 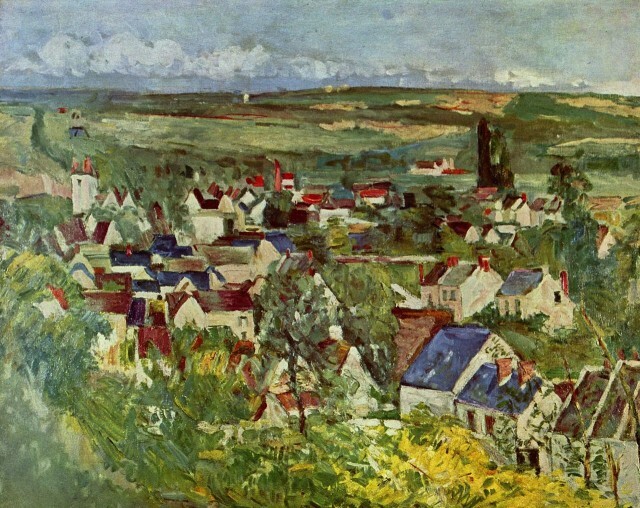 People of the modern world, who have accepted the dominance and the value system of the Rational Mind, do not object, it seems, to this displacement, or to the consequent disconnection of themselves from neighborhoods and from the landscapes that support them, or to their own anonymity within crowds of strangers. These things, according to cliché, free one from the suffocating intimacies of rural or small town life. And yet we now are obliged to notice that placelessness, centralization, gigantic scale, crowdedness, and anonymity are conditions virtually made to order for terrorists. It is wrong to say, as some always do, that catastrophes are “acts of God” or divine punishments. But it is not wrong to ask if they may not be the result of our misreading of reality or our own nature, and if some correction may not be needed. My own belief is that the Rational Mind has been performing impressively within the narrowly drawn boundaries of what it probably knows, but it has been doing badly in dealing with the things of which it is ignorant: the future, the mysterious wholeness and multiplicity of the natural world, the needs of human souls, and even the real bases of the human economy in nature, skill, kindness, and trust. Increasingly, it seeks to justify itself with intellectual superstitions, public falsehood, secrecy, and mistaken hopes, responding to its failures and bad surprises with (as the terrorists intend) terror and with ever grosser applications of power. The same sort of contradiction now exists between national security and the global economy. Our government, having long ago abandoned any thought of self-sufficiency, having ceded a significant measure of national sovereignty to the World Trade Organization, and now terrified by terrorism, is obliged to police the global economy against the transportation of contraband weapons, which can be detected if the meshes of the surveillance network are fine enough, and also against the transportation of diseases, which cannot be detected. This too will be excused, at least for a while, by the plea of inevitability, never mind that this is the result of a conflict of policies and of “informed decisions.” Meanwhile, there is probably no landscape in the world that is not threatened with abuse or destruction as a result of somebody’s notion of security. When the Rational Mind undertakes to work on a large scale, it works clumsily. It inevitably does damage, and it cannot exempt even itself or its own from the damage it does. You cannot help to pollute the world’s only atmosphere and exempt your asthmatic child. You cannot make allies and enemies of the same people at the same time. Finally the idea of the trade-off fails. When the proposed trade-off is on the scale of the whole world – the natural world for world trade, world peace for national security – it can fail only into world disaster. The Rational Mind, while spectacularly succeeding in some things, fails completely when it tries to deal in materialist terms with the part of reality that is spiritual. Religion and the language of religion deal approximately and awkwardly enough with this reality, but the Rational Mind, though it apparently cannot resist the attempt, cannot deal with it at all. It is impossible, I believe, to make a neat thing of this set of instructions. It is impossible to disentangle its various obligations into a list of discrete items. Selfishness, or even “enlightened self-interest,” cannot find a place to poke in its awl. One’s obligation to oneself cannot be isolated from one’s obligation to everything else. The whole thing is balanced on the verb to love. Love for oneself finds its only efficacy in love for everything else. Even loving one’s enemy has become a strategy of self-love as the technology of death has grown greater. And this the terrorists have discovered and have accepted: The death of your enemy is your own death. The whole network of interdependence and obligation is a neatly set trap. Love does not let us escape from it; it turns the trap itself into the means and fact of our only freedom. This condition of lawfulness and this set of laws did not originate in the Rational Mind, and could not have done so. The Rational Mind reduces our complex obligation to care for one another to issues of justice, forgetting the readiness with which we and our governments reduce justice, in turn, to revenge; and forgetting that even justice is intolerable without mercy, forgiveness, and love. As for the law requiring us to “keep” the given or the natural world (to go in search of the lost sheep, to save all sentient beings), the Rational Mind, despite the reasonable arguments made by some ecologists and biologists, cannot cover that distance either. In response to the proposition that we are responsible for the health of all the world, the Rational Mind begins to insist upon exceptions and trade-offs. It begins to designate the profit-yielding parts of the world that may “safely” be destroyed, and those unprofitable parts that may be preserved as “natural” or “wild.” It divides the domestic from the wild, the human from the natural. It conceives of a natural place as a place where no humans live. Places where humans live are not natural, and the nature of such places must be reduced to comprehensibility, which is to say destroyed as they naturally are. The Rational Mind, convinced of the need to preserve “biological diversity,” wants to preserve it in “natural preserves.” It cannot conceive or tolerate the possibility of preserving biological diversity in the whole world, or of an economic harmony between humans and a world that by nature exceeds human comprehension. It is because of the world’s ultimately indecipherable webwork of vital connections, dependencies, and obligations and because ultimately our response to it must be loving beyond knowing, that the words of the Rational Mind are ultimately disappointing even to some rationalists. When the Rational Mind fails not only into bewilderment but into irrationality and catastrophe, as it repeatedly does, that is because it has so isolated itself within its exclusive terms that it goes beyond its limits without knowing it. Finally the human mind must accept the limits of sympathy, which paradoxically will enlarge it beyond the limits of rationality, but nevertheless will limit it. It must find its freedom and its satisfaction by working within its limits, on a scale much smaller than the Rational Mind will easily accept, for the Rational Mind continually longs to extend its limits by technology. But the safe competence of human work extends no further, ever, than our ability to think and love at the same time. Obviously, we can work on a gigantic scale, but just as obviously we cannot foresee the gigantic catastrophes to which gigantic works are vulnerable, any more than we can foresee the natural and human consequences of such work. We can develop a global economy, but only on the conditions that it will not be loving in its effects on its human and natural sources, and that it will risk global economic collapse. We can build gigantic works of architecture too, but only with likelihood that the gathering of the economic means to do so will generate somewhere the will to destroy what we have built. The efficacy of a law is in the ability of people to obey it. The larger the scale of work, the smaller will be the number of people who can obey the law that we should be loving toward the world, even those places and creatures that we must use. You will see the problem if you imagine that you are one of the many, or if you are one of the many, who can find no work except in a destructive industry. Whether or not it is economic slavery to have no choice of jobs, it certainly is moral slavery to have no choice but to do what is wrong. And so conservationists have not done enough when they conserve wilderness or biological diversity. They also must conserve the possibilities of peace and good work, and to do that they must help to make a good economy. To succeed, they must help to give more and more people everywhere in the world the opportunity to do work that is both a living and a loving. This, I think, cannot be accomplished by the Rational Mind. It will require the full employment of the Sympathetic Mind – all the little intelligence we have. Wendell Berry is a prolific poet and a full-time farmer firmly rooted in Henry County, Kentucky. His poems, essays, and stories, no less than the corner of earth he cultivates, bear witness to his tireless efforts over the last fifty years in defense of persons, places, and the beautiful harmony that can exist between them. This essay, which previously appeared in Mr. Berry’s book Citizenship Papers (2003), is reprinted here with his kind permission and with that of the publisher, Counterpoint Press.